Since 2009, I have been teaching comics storytelling, drawing, and bookmaking to a wide variety of students of different ages and skill levels. I first honed my teaching at the Center for Cartoon Studies in White River Junction, VT, where I continue to teach my graduate-level class about bookmaking and design. Since then, I have been to schools all over New England, and have lectured at various institutions such as the University of Wisconsin Milwaukee, American Greetings, and Dartmouth College. 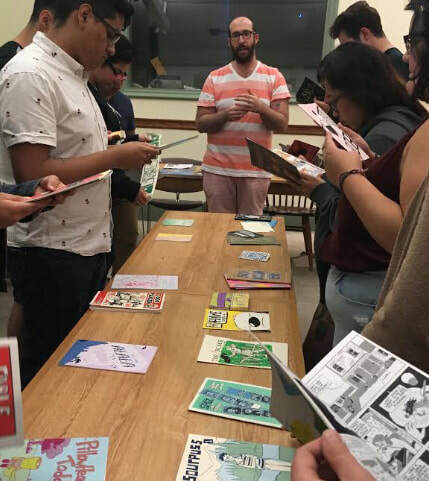 If you are interested in having me come to your school or institution to talk about comics, bookmaking, or my process of making work, please feel free to reach out and email me! 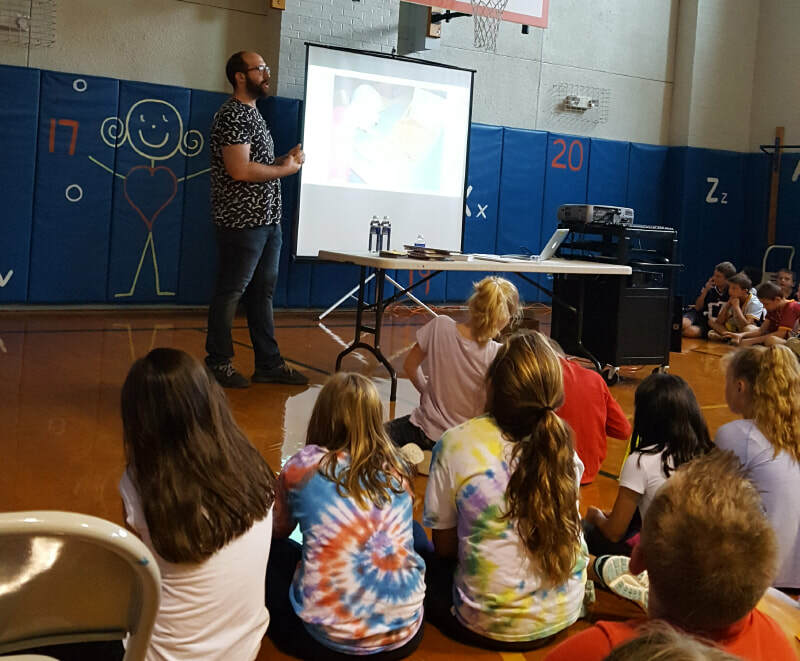 "At Hartford Memorial Middle School, we invite an amazing author to present to our students every year. In the past 5 years, we have had Jon Chad as our visiting author twice because of his ability to connect with our students. In his large group presentations, Jon taught about his creative process, demonstrating that practice pays off. The kids were so impressed with and inspired by the amount of thought, planning, drafting, and revising that Jon put into all of his work. He was enthusiastic and energetic, and because he fully embraced all aspects of the cartooning and comic culture, kids instantly felt comfortable to share their own passions with Jon. They felt like someone finally got them!" 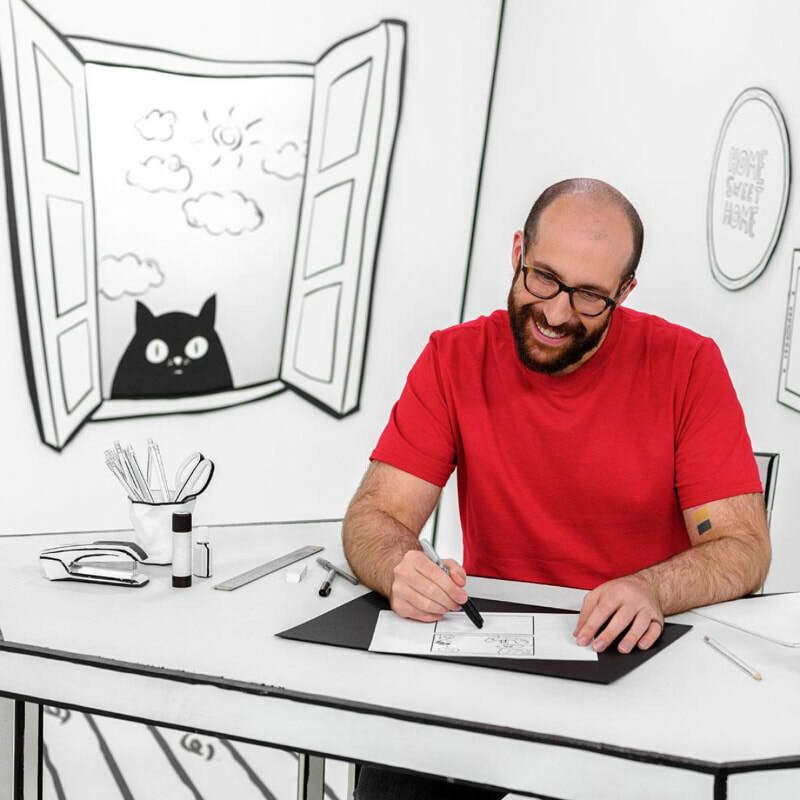 In May 2018, I teamed up with Bluprint to release a 9-part class about making comics for all ages called Ink Outside the Box. In this class, students learn about different tools used to make comics, how to make simple, emotive characters, and how to construct a rad comics page. You can view my class, and a lot more amazing maker content by subscribing to Bluprint!